1 of 3 To basic sugar cookie dough, mix in 1/2 cup mini semisweet chocolate chips. Form into one disk and refrigerate for 2 hours. 2 of 3 Press into a 9-inch round fluted nonstick tart pan. Score into 16 pie-shaped wedges without cutting completely through dough. 3 of 3 Bake at 350 degrees F for 27 to 30 minutes. 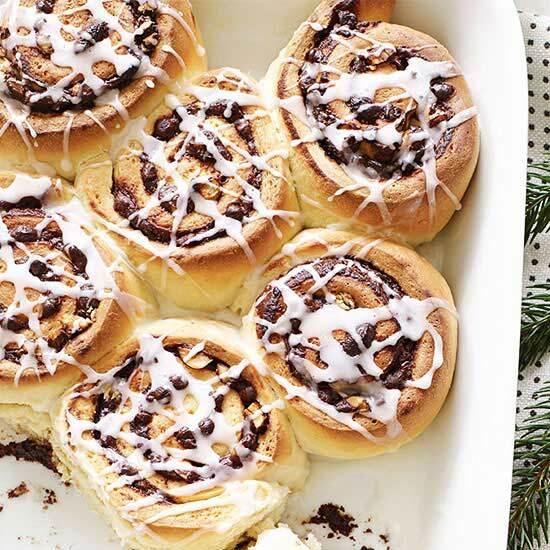 Let cool and remove side of pan. 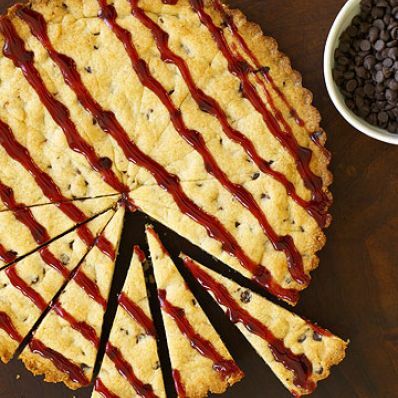 Just before serving, melt 3 tablespoons seedless raspberry preserves and drizzle over top of tart. Cut into 16 wedges along score marks.